Apply an eye primer before eye shadow application- I am sure that many of you (who don’t use a primer) have noticed that after applying eye shadow, as the hours go by it starts coming off and looking kind of “blah”. A primer helps keep your shadow on throughout the day and night! It’s a must have item so if you don’t use a primer, I highly suggest it! If you don’t own a primer, you can also use your under-eye concealer. Always curl your lashes before mascara primer and mascara application- it looks fabulous! Use mascara primer- Ever since I started using a mascara primer before mascara application, people often confuse my real eyelashes for falsies. The primer helps lengthen and thicken the appearance of your lashes, it’s great. I like to use MultiplEYE™ Clinically-Proven Natural Lash Enhancing Primer from Tarte. I really have noticed a dramatic difference since I’ve started using this product. Apply a dab of foundation (or primer) followed by a loose powder (to set foundation) on lips before applying lipstick – I do this frequently and it helps make my lipstick last longer. My lipstick stays on even after eating! For a natural look on the beach- use a tinted BB Cream and instead of using lipstick apply a blush on your lips and Vaseline on top, or a moisturizing chap stick with SPF. To wake up with wavy hair in the morning- shower at night and sleep with your hair in a bun. You’ll wake up with pretty waves! Spray with hairspray as soon as you take the bun out. Use a business card when applying eyeliner or when contouring cheekbones- it makes a straight line. Use white eyeliner in your waterline- it makes your eyes appear bigger and “pop”! If you’re out of shaving cream, use a hair conditioner instead- Skin stays smooth and it works better than not using anything at all. Ice is your best friend- it can be used to give your face a healthy glow, shrink pores, shrink zits, de-buff eyes, minimize bruising, and minimize pain (before getting waxed or getting a shot, rub the area in ice and you will hardly feel it. I come close to fainting when I get blood drawn and using ice cubes helps reduce the pain so I freak out a little bit less). Please note* wrap ice cubes in a cloth when applying to your face, applying an ice cube directly on your skin for too long can be damaging. Don’t pick your face- Yes, we all know this rule. I admit I can’t stand seeing pimples on my face. But picking is bad and causes scarring, I have a few scars myself. It’s so hard not to, I know, trust me. If you really feel you have to though, don’t use your nails. Instead, put a warm cloth on the pimple for a few minutes, and use 2 Q-tips to do the job. After, apply a tiny drop of peroxide to prevent the spread of bacteria, and then do not touch it. For scabs- Use Neosporin and do NOT pick them off or you can end up with a scar, or even worse, a hole. Use Visine to reduce redness of pimples. Use Vicks VapoRub- to speed up the healing process of cuts and scrapes, to relieve itchiness and reduce inflammation of eczema, and to soften dry/cracked heels! It’s also great to heal toe/nail fungus. Take Biotin (aka Vitamin H) supplements- they help your hair and nails grow! These pills are very beneficial. Learn how to highlight/contour- learning a good highlight and contour technique has changed my life (yes this is dramatic to say but that’s how much I love it!). I only really do this for a night look, or whenever I have a lot of time to apply my makeup. This technique can be used to slim down the face, make cheekbones more pronounced, make your nose look thinner or pointy- the possibilities are endless! I learned from reading books such as Making Faces and Face Forward by Kevyn Aucoin. Below is an Illustration from Kevyn Aucoin, and I saved this picture from an amazing article that I found on Beautylish.com, which was written by their staff. To explain the photo and contouring, the article states: “Dark colors shade and make areas of the face recede. 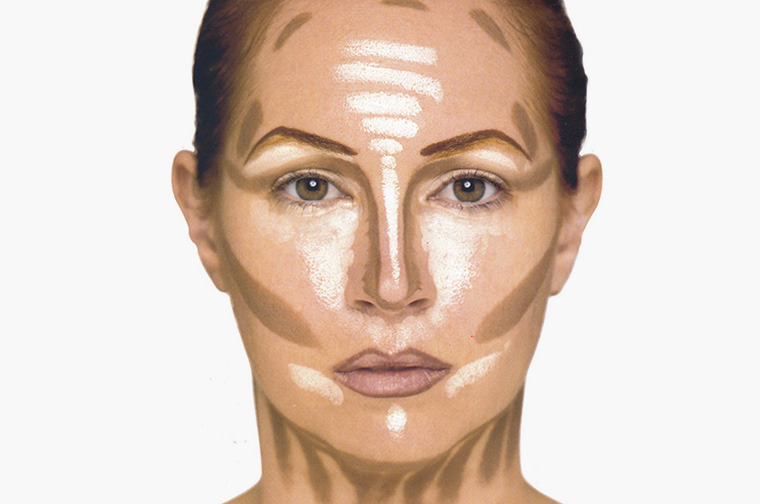 Light colors highlight and make features come forward.” Definitely check out the article, it’s called Classic Kevyn Aucoin Makeup Lesson #1: Contouring. Once again, thanks for all the tips! You are the best! Thanks glad I could help!! I too am a beauty lover and have been using almost all the tips in my daily life. But to be precise, I avoid using BBcreams and foundations on my face because they clog the pores of your face and stops the skin from breathing. This way they do more harm than good for the skin.